DefenCell harnesses the combined expertise of various companies to create a strong, multi-faceted, operationally diverse group. The team members bring vast experience in military contracting, textile production and fabrication as well as civil engineering, project management and construction. 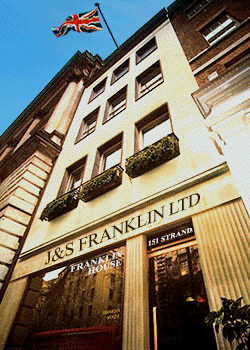 J & S Franklin Ltd is part of the Franklin Group of companies, with over sixty years' experience in the manufacture and supply of textile based products to Military Forces, Security Organisations and NGOs around the world. Consultants and advisors in the fields of ballistics and blast effects, construction and civil engineering design, barrier technology and anti-terrorism, flood control and military engineering continue to provide vital input into the continued development of new products and innovative applications for DefenCell. DefenCell has been developed by Franklin with Terram Ltd, part of Fiberweb PLC, a London Stock Exchange listed multinational public company. Fiberweb is one of the world's largest and leading suppliers of high performance, speciality nonwoven fabrics. Nonwoven materials developed, manufactured and marketed by Fiberweb are used in a wide variety of everyday products such as filters, industrial wipes, baby diapers, fabric softener, construction products and protective clothing to name only a few. With vast experience in its field and a strong international presence, Fiberweb has long been regarded as a technological innovator with a strong portfolio of intellectual property, a preferred partner for customers focused on high-quality and reliable supply and as a consistent investor in a global network of competitive manufacturing assets.